The King Suite, in the main house, is a very spacious 63 sq mts. 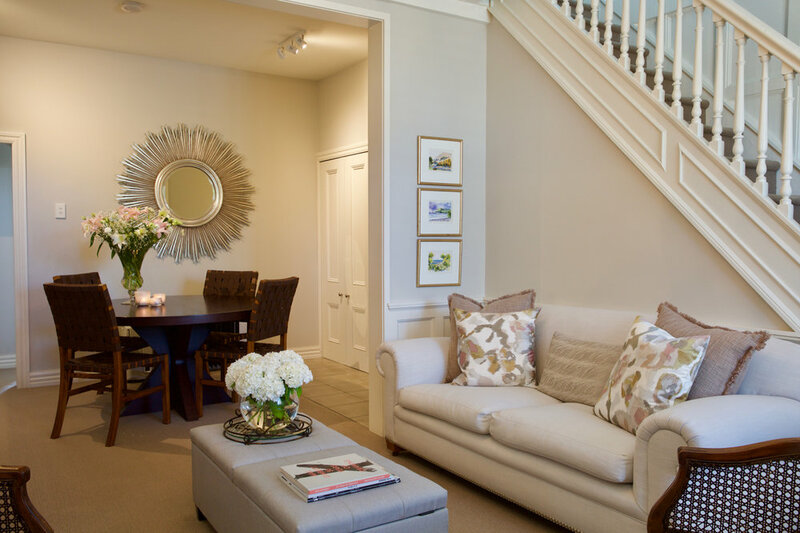 A touch of luxury with a homely charm. 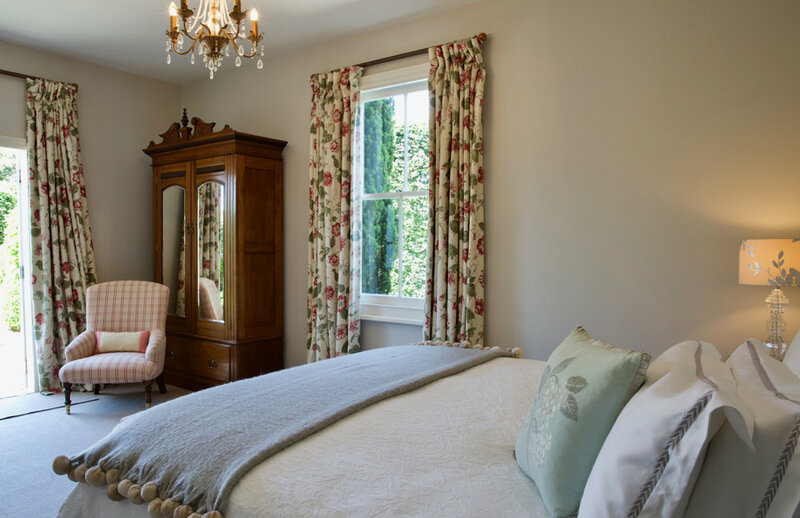 French doors lead from the separate bedroom to the Italian styled garden with its manicured lawns, Hornbeam hedges, buxus and soothing fountain. Super King Bed with luxury linen and Hungarian goose down duvet. Private en-suite bathroom, claw foot bath, walk in rain shower, tiled floor with under-floor heating, heated towel rail. Sky TV, I pad, Bose I pod speaker. Small kitchen area, bar fridge, kettle, selection of teas, home baking.